Is “affluenza” junk science or a legitimate defense? Have you heard about Ethan Couch, a 16-year-old Texas teen whose case is being discussed across the country? In June, 2013, Ethan and a few friends shoplifted two cases of beer from a local store. After drinking a fair amount, the boys went for a ride. Ethan was driving with seven friends in a truck including some in the back. He was going 70 in a 40 mph zone and registered a blood alcohol level of .24 which was over three times the legal limit. He hit and killed four pedestrians, ages 21 to 52, and injured some of his passengers. Couch was prosecuted in the juvenile system and pleaded guilty to intoxication manslaughter. The state asked for a sentence of twenty years in prison. After three days of testimony from witnesses, victims’ loved ones, and treatment experts in December, 2013, Couch was sentenced to ten years of probation and completion of a rehabilitation program. 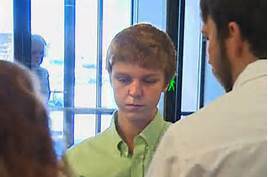 The defense successfully argued that Couch suffered from “affluenza” which is defined as a condition where a person feels entitled due to his or her parent’s wealth. Such an individual makes excuses for poor behavior, is irresponsible and often engages in drugs and alcohol. It is sometimes referred to as the “rich kid syndrome.” They believe their parents will shield them and buy their way out of any trouble they get in. Affluenza, a combination of “affluent” and “influenza” is not an accepted diagnosis by the American Psychological Association or any other credible institution. Some refer to it as junk science that surfaced in the 1990s as an explanation of certain behaviors exhibited by kids of wealthy families. It has rarely been offered in a court of law as a defense to a crime or justification for a lighter sentence. Update: In 2015, Ethan was seen online at a drinking party. He was scheduled to meet his probation officer and when he didn’t appear, an arrest warrant was issued on December 11, 2015. He was believed to be on the run with his mother and a nationwide manhunt commenced. They were apprehended in Mexico and returned to the United States. Ethan sits in jail without bond, and awaits further court hearings. On February 19, 2016, Ethan was transferred to adult court. In April, 2016, he was sentenced to serve two years in jail. His mother also faces ten years in prison for her part in her son’s defection. Update: Ethan will be paroled in April, 2018 after serving his time. Terms of parole have not been announced. His mother is pending trial for her alleged crimes in 2015. How do you view this case? Of course, we don’t know all the facts or have access to the reports and testimony presented the sentencing judge. On the face of it, however, does this seem like a fair or just punishment for taking the lives of four people? What has Couch learned from this? Does it possibly reinforce his belief that his parents will come to his rescue no matter what he does? ( Note: These questions have, in part, been answered by his latest defiance of authority).